100% barley juice alka green concentrate. 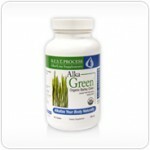 Naturally chelated alkaline minerals, vitamins, and amino acids. For conditions like candida, cancer, arthritis, cardiovascular disease, fatigue and general well-being.